The judges described Degree 53 as a credit to Manchester. They highlighted the work the agency has done designing apps for the sports betting industry, and in particular they praised a complex API integration that created a super-simple experience for the customer. Degree 53 are a digital design agency specialising in web, mobile and native applications across a multitude of platforms. We are an independently owned organisation that lets creativity and innovation flourish. For our employees, we give them an environment where they can feel as comfortable as possible. We want them to enjoy coming to work every day and be passionate about what they do, as a company we feel that the perfect mix of experience and emerging talent has given us the foundations to help transform Manchester into the leading digital hub in the country. This category is open to any freelancer/contractor or enterprise that has started in business since September 2012 and is based in the North. The award recognises enterprises that show particular promise of becoming successful. The criteria were revised in 2013 to allow businesses that have started in the last 18 months to enter. This was in recognition that some start-ups need more than one year to demonstrate their potential. Businesses that started before September 2012 should consider entering Best Established Freelancer/Micro-Enterprise or the Big Chip Digital Agency Award. The winner here is a games studio born out of the closure of a previous video game business. The judges were impressed with the quality of the work being produced and by the strong revenue growth the company has shown. Combine these with the experience of the team and the judges expect great things from Yippee in the future. This category is open to any freelancer/contractor or enterprise that has started in business since September 2011 and is based in the North. The award recognises enterprises that show particular promise of becoming successful. Best Start-Up was a new category in 2013 replacing Best Newcomer (Enterprise). Launching a new agency is challenging at the best of times; doing so in the harsh economic climate of the winter of 2011 was very tough indeed. 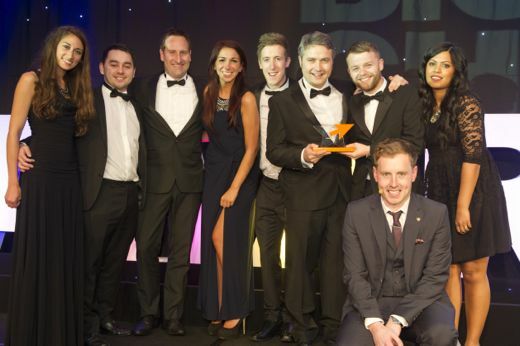 So the judges were particularly impressed with the way Status Digital managed its launch, keeping its retained clients and recruiting new ones, and hitting all its financial targets in the process. This category is open to any freelancer/contractor or enterprise that has started in business since March 2011 and is based in the North. The award recognises enterprises that show particular promise of becoming successful. Building a new business during recession is no easy task, yet this company has tripled staff and doubled revenues in the last year. Award winners already, despite their youth, the judges were happy to add another trophy to their mantelpiece. This year saw a strong field of newcomers; some tentative first-time racers, others hitting the ground running, with world-class campaigns delivered straight out of the blocks. The winner took a new approach to an old problem, using the unique properties of the internet to bring what was once only available to big companies with reach of any small or medium-sized business. Closing the loop between online and offline conversion is one of the key challenges facing advertisers as digital media grows in importance. The winner here tackles this problem in a way accessible to both advertisers and media agencies alike and the judges said they're looking forward to further innovation in this space from the company behind it. AdInsight is one of the most advanced call tracking solution available in the UK which allows businesses to track each of their advertising campaigns through to a lead or sale and inject that information into a web analytics platform like Google Analytics. • Identify which adverts generate the best ROI, so they can optimise their advertising spend accordingly. • Helps them increase their profitability by allowing them optimising and test their ad copy for better conversion rates. Best Newcomer is a new category in 2009.